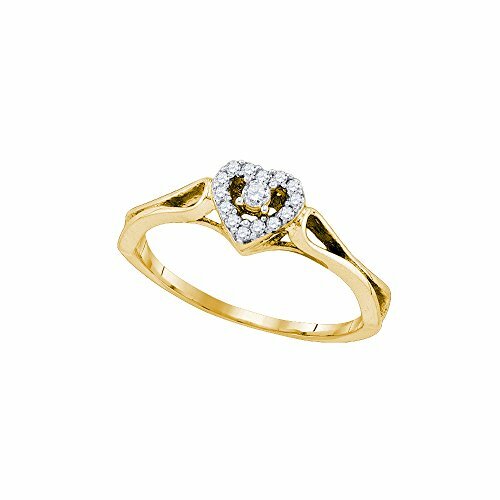 10kt Yellow Gold Womens Round Diamond Heart Love Promise Bridal Ring 1/10 Cttw. _Combined diamond weight of 1/10 carats total weight represents a range of 0.09 - 0.11 cts. t.w.